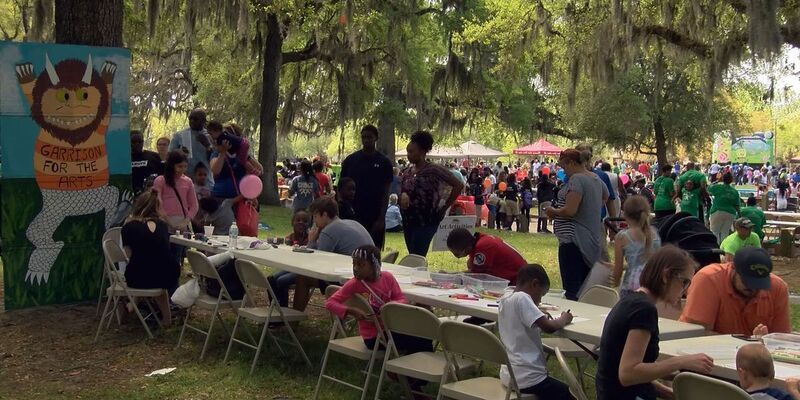 SAVANNAH, GA (WTOC) - The Savannah-Chatham County Public School System is gearing up for a big family event this weekend. The 2nd annual Books, Blankets, and Family Fun is happening Saturday, April 13 in Daffin Park. Families can come out and find a good book, lay out on their blankets and enjoy some family fun. This is a big event for the school system. They expect around 5,000 to 10,0000 people will attend. Scholastic - like the Scholastic Book Fair - will be there offering books to students in grades K-12. Marching bands will be playing, so you can enjoy some good music, and students can even participate in fun activities. "Children have to go around and get signed up to show they visited all of the booths, and those types of things. And, they'll be entered into a drawing where they can get a tablet. But not only will the children get a prize, the schools that have the most in attendance will as well," said Vallerie Cave, Director, Elementary/K-8 Schools. The event will take place Saturday from 10 a.m. to 3 p.m. at Daffin Park.